It is no longer a novelty that every calendar year wakes up and sleeps off with a natural book of many pages. Pages of dreams and visions, pages of imaginations and realities, pages of successes and failures, pages of joy and sorrow, pages of progress and regress, pages of victories and losses, pages of smiles and tears, among many others. These pages indeed represent what the year holds for us. Among many others, the Nigerian literary industry has been a silent character that has tasted a paragraph in virtually all the pages of the natural book in the year 2018. That is to say that a lot of pages have opened and closed to the literary industry as the year 2018 blinks away. The Nigerian literary industry has been one of the most highly revered industries in the country, owing to her gargantuan contributions towards the development of the country, coupled with the venerable caliber of people therein. Analytically speaking, the year 2018 was neither all white nor all black for the industry, as many writers were recorded with many others also recorded in different books in the year. For Nigerian writers, the year 2018 began with good news, following the long listing of 30-year old Ayobami Adebayo in the ‘Wellcome Book Prize‘ on 9th February, for her debut novel “Stay With Me” published in 2017, making her the only African Writer that made it to the list of the highly competitive annual British Literary Award. Shortly after this, sad news crawled in, following the shocking news of Akinwunmi Ishola’s demise on Saturday, 17th February, being the first global sad news to surface from the corner of the literary industry across the world in 2018. Prof. Ishola was a Yoruba literary scholar, novelist, playwright and cultural icon whose works: Oleku, Efunsetan Aniwura, Koseegbe, Saworoide, Agogo Eewo and Campus Queen were widely regarded as among the best literary works produced by writers of his generation. This was followed by the death of Elizabeth Fagunwa, a renowned literary promoter and wife of foremost writer and author, late Chief Daniel O. Fagunwa. Her death was described as a great loss for the Nigerian literary community, owing to the great roles she played in advancing, peaking and championing the cause of literary activities in the country, especially through the Fagunwa Literary Foundation. Among these, the most recent and unsavory of all the ugly news that elicited tears from the eyes of Nigerian writers in 2018 was the announcement of Ikeogu Oke’s fall on 24th November. 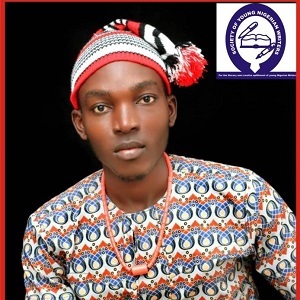 Oke was a great Nigerian bard who, with his classic poem “The Heresiad”, won the Africa’s biggest literary prize, the Nigerian Prize for Literature 2017, sponsored by the Nigeria Liquefied Natural Gas (NLNG) to the tune of $100,000 (N37m). On the laudatory flank of the journey, the Nigerian creative industry recorded leviathan feats in the year 2018, as many Nigerian writers, both burgeoning and established, proved their worth in the field of the pen this year both nationally and internationally, thereby emblazing and embellishing the hope for the advancement of literary arts in Nigeria. If there is any set of people that have kept Nigeria’s image alive and shiny for decades in the international community, it is Nigerian Writers. And this year is no exception. Several Nigerian writers toed their feet in the literary field this year while many others advanced in their echelons. In her corner, a leading character in the Nigerian literary scene, Chimamanda Ngozi Adichie recorded some of her greatest achievements in the literary field this year, following her prodigious victories in various international and globally acclaimed literary contests, awards, coupled with other noble honours she received in the year. 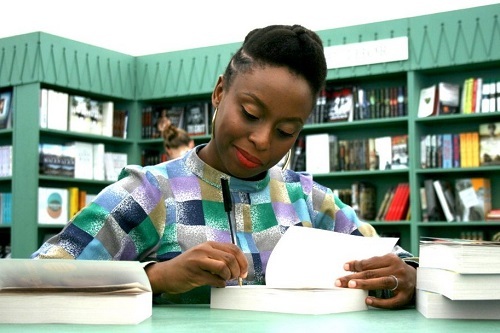 Adichie opened the award year with the 2018 Barnes & Nobel ‘Writers for Writers’ award which she received in the fall of the quarter of the year. Shortly after that, the literati had within a couple of months clasped several other awards and Honorary Degrees among which are: the ‘Shorty Award 2018’, Pen Pinter Prize 2018; 2018 Action Against Hunger Humanitarian Award; 2019 Everett M. Rogers Award; Thought Leadership Award from the Global Hope Coalition (GHC); Honorary Doctor of Literature (DLit) degree, School of Oriental and African Studies (SOAS); University of London, UK; Honorary Doctor of Humane Letters Degree, Duke University, North Carolina, USA; Honorary Doctor of Humane Letters Degree, Amherst College, Massachusetts, USA; Honorary Doctor of Letters Degree, Bowdoin College, Maine, USA, among others. Other great and upcoming writers who recorded great feats with their pen in the year include: Anietie Isong, whose debut novel “Radio Sunrise” won the UK’S biggest literary prize, the 2018 McKitterick Prize; Nigerian-German Efua Traoré who emerged the African regional winner in the world’s most global literary prize, the 2018 Commonwealth Short Story Prize; Chinua Ezenwa-Ohaeto who won the New Hampshire Institute of Art’s 2018 Writing Award, and the Castello di Duino Poesia International Prize 2018; Abimbola Dare who won the 2018 Bath Novel International Award among others. The highly coveted 2018 NLNG Prize for Literature which is Africa’s biggest Literary Prize (worth $100,000) went to Soji Cole for his drama ‘Embers’. Be it as it may, this year’s Wole Soyinka Prize for Literature went to a Ugandan writer, Harriet Anena, making her the first Ugandan to win the prize, while, with her ‘Fanta Blackcurrant’, a Kenyan writer, Makena Onjerika, won the 2018 Caine Prize, in which three Nigerian writers: Nonyelum Ekwempu, Olufunke Ogundimu and Wole Talabi were shortlisted out of 147 entrants from 20 African countries. It is also worthy to recall that two Nigerian authors: Chimamanda Adichie and Nnedi Okorafor were in 2018 nominated for the Nobel Prize for Literature, for the first time in 36 years, after Wole Soyinka became the first black person to win the world’s most coveted literary prize. However, due to some circumstances challenging public confidence in members of the Swedish Academy hosting the award, the winner of the prize was not announced this year, instead being postponed to the next year. Nevertheless, one of the Caribbean’s most renowned authors, Maryse Conde, was said to have won an alternative prize created to replace this year’s Nobel Literature Prize. Hence, according to the organizers, who were being torn apart by a kerfuffle evolving from certain claims and accusations, two Nobel Laureates will be announced next year, being for 2018 and 2019 respectively. Aside from awards and recognition, many Nigerian writers, especially the young ones published internationally acclaimed books this year. The Nigerian literary industry also welcomed new members this year, among whom were top-notch politicians who decided to ‘test’ their ‘fortunes’ in creative writing, and hence now wear the badge of ‘author’. The most recent of these politicians turned authors include: Sullivan Chime who authored “An Honour to Serve: Enugu State in the Sullivan Years” and Former President Goodluck Jonathan, who authored ‘My Transition Hours’. Professionally as it may have been written, president Jonathan’s book surprisingly made it to the list of 15 best books published in the year 2018. Other newly published books and Nigerian authors who made it to the prestigious international list include: ‘Devil’s Pawn’ by Kukogho Iruesiri Samson; ‘When Trouble Sleeps’ by Leye Adenle; ‘When Day Breaks’ by Adamu Usman Garko (a secondary school student); ‘Children of Blood and Bone’ by Tomi Adeyemi and ‘Embers’ by Soji Cole, among others. However interesting these may be, it is also more interesting to puff the sore truth that book piracy and plagiarism received a great boost in Nigeria in 2018, as reports reveal several cases of the ugly act carried out this year. Even President Jonathan’s new book was said to have been pirated by an unknown malignant, in just less than 48 hours after its launching. However, a number of individuals, groups and non-governmental organizations in the country played great roles in waging war against this centuries old global issue which has pauperized many writers across the world. A most recent instance of this brawl was one waged by the Anti-Piracy Society of Nigeria in her 2018 annual convention in which the MD/Editor-in-chief of the National Light Newspaper, Sir Chuka Nnabuife, who is also a renowned author and poet, lectured on: “Evolving Challenges-Innovative Responses”. It is generally believed that piracy and plagiarism trailed in the year despite the fierce campaigns truculently championed against it. Indeed, 2018 has been a historic year for Nigeria’s literary industry, given the bizarre feats and achievements recorded by the members/Nigerian writers in the year in their quest to advance globally in the field to promote Nigerian literature and Nigeria’s image in the international community. In fact, the industry is believed to be among the few sectors that has consistently projected and upheld the image and dignity of the country upto today. Ipso facto, it is optimistically believed that the sector and the actors will take even more historic dives and achieve more selcouth feats before the fall of 2019. Izunna Okafor is an award-wining creative Young Nigerian Novelist, Poet, Essayist, Journalist, Editor, Translator, Publicist, Igbo Language Activist and an Administrator who hails from Ebenator in Nnewi South L.G.A of Anambra State Nigeria. He has published seven novels, won over 25 awards, and has over 800 articles published online.